Creation by Design; Renewed Every year. As we complete the 22 days of the holidays and reestablish the relationship between the Zeir Anpin and Malchut (Heaven and Earth so to speak) for another year, we read once again the story of Creation. Before even finishing the holiday, just after we finish the 7th hakifot (encircling) with the lulov and doing the 7 hakifot with the Torah, both associated with Zeir Anpin, we read the first 32 verses of Creation, the verses that establish the 7 days of Creation. This is of design, not convenience. The 32 verses of Creation, as well established by Chazal, connect to the 32 Paths of Wisdom, the Tree-of-Life. And as we explained in a previous post, similarly the ordinal value of the word Lulov, which is 32, does as well, and moreover, they both connect to the Alter at the center of the Third Temple, which measures 32 x 32 cubits. What was not previously explained was that the 6 verses in which each of the first 6 days were completed in, thus establishing the 6 sefirot (dimensions) of Zeir Anpin, are the verses #5, 8, 13, 19, 23, and 31 of the Torah’s first chapter. The numbers 5 + 8 +13 + 19+ 23 + 31 = 99 and in the 1st verse of the 2nd chapter G-d completed Creating Heavean and Earth, plus 99 + 1 = 100, a level of perfection kabbalistically speaking, but also the square of 10 (sefirot) and the complete value of the word Lulov, (68 + 32 = 100), and also the measure of the inner courtyard surrounding the Alter at the center of the Future Holy Temple, 100 x 100 cubits. This also corresponds to the sum of the ordinal values of the first 10 letters of the Torah (BREShYT BRE E) “In the beginning was created Alef:” 2+20+1+21+10+22+2+2+1+1 = 100, once again perfection and the square of the 10 sefirot. And it should be noted that teh composite value of the letter Alef is 32, which is why it’s associated with the Tree-of-life. As we said, when we complete the 7th day, Malchut, firmly establishing the 7 sefirot and 7 days of Creation in the 1st verse of the 2nd chapter, we have a total value of the verses as 100 which corresponds to the 100 blowings of the shofar on Rosh Hashannah that began the Holiday process 22 days ago. This is all by design to reestablish our connection to the Tree-of-Life EVERY year, every year through the period of the Third Temple, which according to the prophecy of the tzaddikim should happen in about 7 years from now (around 5778). 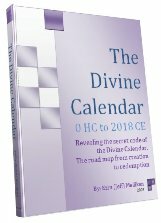 Please note that 5778 is 66.6 jubilee years from the reception of the Torah at Sinai in 2448, and we mention this because as was explained in book The Genesis Prayer the number 5913 is also derived from a beautiful equation based on the 7 days of Creation and the kabbalistic principal that energy is never lost. Before we get into the equation please note that in the 6 days of Creation there are 66 times the letter combination for the word “sea” appears (YM) of numerical value 50, the same as the length of the jubilee year, 50 years. According to chazal, whenever we see the combination (YM) as in Elohim (ELHYM) it represents the sefira of Binah (understanding). And as for Elohim (ELHYM) it is found 32 times in those same verses of the 6 Days of Creation. Whether it’s the lulov, or the Torah or the Alter in the Future Holy Temple, we’re tapping into the Tree-of-Life , and drawing the light (energy) from Binah through the 6 dimensions of Zeir Anpin into the 7th, Malchut, the world of matter and limitation. Abraham, the Patriarch, taught us in his Sefer Yetzirah several thousand years ago that 7 factorial is 7 x 6 x 5 x 4 x 3 x 2 x 1 = 5040, and when we apply that to 6 factorial and again for each of the 7 days of Creation and then add them together, we get (5040 + 720 + 120 + 24 + 6+ 2 + 1) = 5913 and even more significant, we know that the 10 Commandments and thus the 2nd opportunity of the Tree-of-Life reality was received on Shavuot 2448, or the exact Western date 5/9/1313 BCE (some say 5/9/1312 BCE, but it’s still 5/9/13). Of further note is that 7 factorial and 6 factorial together total 5760 and (5 and 4 factorial) = 144 and (5 and 4 and 3 and 1 factorial = 151. So, while 5760 is the year 2000 CE, the spiritual cleaning bath, or mikve has the numerical value of 151 (same as the higher name of G-d, Ehyeh) and it contains 40 seah each of 144 eggs, for a total volume of 5760 eggs, as prescribed by chazal. It was based on this calculation for the mikve and divine inspiration that Rav Abraham Azulai of blessed memory, prophesied that the Geula/Moshiach process would begin in 5760 (2000 CE) and this period of Oy and Ashray could conceivably last for the 18 years until 5778 as fits the other prophecies, especially since the square root of 18 is 4.24, the numerical value of Moshiach Ben David. Author Jeffrey MeilikenPosted on October 2, 2010 October 4, 2010 Categories RevelationsTags 1/3, 10 commandments, 10 dimensions, 10 sefirot, 100, 100 shofar blowings, 120, 1312 bce 720, 1313 bce, 144, 144 eggs, 151, 18, 19, 2000, 2000 CE, 2018, 2018 ce, 23, 2448, 31, 31 verses, 32, 32 paths of wisdom, 32 verses, 32 x 32, 40 seah, 424, 5, 50 years, 5040, 5760, 5778, 5913, 6 days of creation, 66 times, 66.6 jubilee years, 7 days of creation, 7 factorial, 8, abraham, abraham azulai, alef, Alter, arizal geula, Azulai, Bereshit, binah, chazal, Creation, days of creation, Ehyeh, Elohim, factorial, final redemption, Future Holy Temple, gematria, Genesis, genesis prayer, hakifot, inner courtyard, jubilee, Judaism, kabbalah, lulov, malchut, Mashiach, mikve, Moshiach, moshiach ben david, Paths of Wisdom, Rosh Hashanah, Sefer Yetzirah, Shavuot, shofar, Third temple, Torah, zeir anpin3 Comments on Creation by Design; Renewed Every year. The 26 Generations from Adam to Moses to Mashiach: Why do we Need Numbers? Why do we count? Why does the Torah always list numbers, and why are numbers so hard for us to grasp? The following is an excerpt from The Divine Calendar about the curious mathematics in the 26 generations from Adam to Moses. It is just one more aspect in and of the magnificence of the Torah. To most people reading and studying Torah (the Bible) the years in the generations of Adam are extremely insignificant and that may be the point: Even the most insignificant detail of the Torah shines with the magnificence and depth of the brightest star. I was compelled to make this particular post because I followed an advertising link to a site whose premise was that we can’t count the generations. I confess I didn’t read through their premises in depth, but if the Torah didn’t want us to count up its numbers, why is the Torah always taking censuses and counting everything constantly. And why are there always deep and numerous revelations when we do. Why would there be so much revealed perfection in the Torah’s numbers if we weren’t supposed to find it? The answer is that our generation is meant to find this perfection. What else other than the awe of G-d can save us? Then why are numbers so hard for so many people? It is because they are Sod, secret knowledge. People’s eyes glaze over when they see numbers and they get sleepy, which is no different then often happens to people listening to a tzaddik speak. When the energy is too powerful, we can’t connect, so our minds disconnect. But know this, everything in the Torah is a gift, and everything was meant for us to take advantage of it. OK, secrets, sure, but those can be bottom-lined for us, why do we need to look at the numbers? Because numbers contain enormous power unto themselves, which is why there are so many of them in the Torah. Think of them as the IP addresses of various cosmic computer stations. Once you once the address your mind/soul can dial in, the same way your web browser does for you while you’re sitting at your desk, unlocking an endless stream of information. Now imagine, if all those web addresses were sorted into a specific order for you to link into just the right and accurate information and to tap into just teh right frequency of energy you need to maximize your potential this and every week of the cosmic year. This is why the Torah is divided into very specific portions (parshot) according to the weeks and holidays of the cosmic calendar year. Now these cosmic web sites are wonderful to visit, but if you could only read them (if they were in your language) how much more would you get out of them. And that’s what were are attempting to do in this blog, help you to read the cosmic web sites, translate them as best we can, because the closer we get to 5778 and the “end of days” the more we’ll need accurate information and the appropriate spiritual energy. So what energy can we tap into this today? At the end of this except from The Divine Calendar, one of the more technical sections of it, I’ve added new important revelations about the chronology of these 26 generations and their connection to the prophesied arrival of Moshiach in 5778. What are the odds of that? Really. If the Torah were divinely designed, then there’s no issue. Of course the same force that created all our mathematics could have designed this specific set of 26 interlocking numbers that ended in the year 2488 HC to be anything that He wanted it to, but if we want to design a scenario where Man could have created this chart 3330 years ago, then we have a problem. You see, John Napier only began developing the concept of logarithms around 400 years ago. Now, there are many reasons why the Torah was designed to be 408 letters shy of the perfect 600,000, one of them being that 408 x 6 = 2448 and 2448 HC was the year the Torah was given to us at Mt Sinai, but what ties this all together so utterly perfectly is that the log of 600,000 is 5.778. The other oddity to notice about the above generational chart is that the sum of the 26 square roots, again 26 irrational numbers, also works out to 535.814805…, with 358 being the numerical value for Mashiach, the Messiah, and 814 being the numerical value of the phrase from Leviticus 19:18, “You must love your neighbor as (you love) yourself,” and 805 being the numerical value of “The Rainbow” which was G-d’s Covenant with the Earth following the Flood. Of further note is that not only does the cumulative sum of the 26 square roots connect to Mashiach, but the cumulative sums of the first 17 (the value of tov, good) do so as well. They sum to 424.666, a not so subtle connection to Mashiach Ben David (424) and 666. Also, you may have observed that the numerical sequence or string 5358 is found at the 9th position in the mathematical constant Pi: 3.14159265358, right after the number 26 representing both the Tetragrammaton and the 26 generations, whose square roots summed to 5358, and that the number 26 immediately follows the number 9. Obviously, in building-in such precision perfection, which we can easily unravel given today’s technology, G-d wanted to give everyone in this generation the opportunity to realize in time the blessings of Torah and that there is so much more out there than we can fathom with out limited minds. But just as importantly, the Torah is letting us know that we all come from the Tetragrammaton (YHVH) and that if your soul is one of the 600,000 that was at Mt Sinai, then it came through and was at one point united within Adam, and that it needs to be reunited again with H’Mashiach (the Messiah) in 5778. That’s why it’s called a divine calendar; because it was preordained, and the Torah’s wants us to know that, to tune into that so it can help us to unify, to reunite. If the Torah knew the path our 600,000 souls would take then it also knew how difficult the path would be and how much help we’d need in the end days. This is why we were given this 18-year period from 5760 to 5778 (2000 CE to 2018) to live (18 is the value of chai, life) and to learn this technology, of which permission has only recently been granted for it to be made available to everyone. If you’re reading this, chances are you are one of the 600,000 and need to help get it to the other 599,999. If you were a cell in your body, you wouldn’t think twice about helping and sharing valuable info with the rest of your body–this is what keeps you alive, but as humans, it’s not our nature (or so we deceive ourselves into thinking). Think about that: How can what our cells do naturally not be within our nature. This is the illusion of our present world. This is what Torah is trying to help us break though. This is what is on the other side of the end of days. It is the tree-of-life reality. What about those new revelations? We’ve seen repeatedly in our blog posts how the number 107 is encoded into many of the Torah verses and/or Bible codes and we know that since it is a spiritual tenet that nothing is ever lost, we understand the significance that all the integers from 1 to 107 add up to 5778. Thus, isn’t it significant that the sum of the generations of those 8 forefathers of ours is 107, thueds linking them, us to 5778. And also that the first 5 are all even numbers that add up to 42, as in the 42-Letter name of G-d, that we learned from the Arizal, is our real soul root (see the blog post regarding this), and also that the last 3 are all odd numbers which add up to 65, the numerical value of Adonai. Now, if you piece it together in reverse order, you can trace it back to 3,5,8 or 358, Mashiach. With these simple ages, the Torah is helping us to reconnect with our soul roots and to connect to the Mashiach. Note, all these numbers come from the extraordinarily secret Book of Adam, as the Torah alludes to in Bereshit 5:1, to which only a very few tzaddikim have been privileged to see, but now we can all connect with this knowledge openly. And since the Torah wants to illustrate the parts are all part of the whole we can see from these numbers that the sum of the integers from 1 to 26 (YHVH) is 351 and that the sum of square roots of the 18 (26-8) numbers not highlighted for us is 351.702, with the number 702 being the value of Shabbat, the 7th day. And if you add 7 to 351, you get 358, Mashiach again. One more parting gift: 5778/107 = 54, which is the numerical value of the letters dalet and nun, the two letters of the month of Scorpio, according the Abraham’s Sefer Yetzirah, that are also associated with the arrival of Mashiach, but this will be explained in detail in another post. 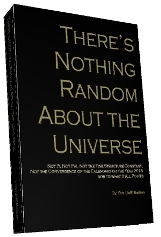 Author Jeffrey MeilikenPosted on December 9, 2008 Categories RevelationsTags 107, 2000 CE, 2018, 358, 42, 42-letter name, 424, 5778, abraham, Adam, Amran, arizal, Bible, Bible codes, Book of Adam, divine calendar, end of days, enoch, Enosh, generations of adam, Isaac, Jacob, letters of the month, logarithms, Mashiach, Mashiach Ben david, messiah, methusalah, moses, Moshiach, noah, prophesied, scorpio, Sefer Yetzirah, Seth, Shabbat, soul root, souls, spiritual., spirituality, square roots, Terach, Tetragramamton, Torah, tree-of-life, tzaddikim3 Comments on The 26 Generations from Adam to Moses to Mashiach: Why do we Need Numbers?